I had the pleasure of interviewing some of the brightest minds in the Latin music industry for Billboard’s annual Latin Power Players edition, out now. Among the execs I profiled were manager extraordinaires Johnny Marines (Romeo Santos), Fernando Giaccardi (Enrique Iglesias), and Walter Kolm (Carlos Vives, Maluma, Fanny Lu). Congrats to all who made the list! It is the sound of the fastest-growing demographic in the nation — and one of the most diverse. The Hispanic population of the United States, some 55.4 million individuals comprising 17.3 percent of the nation, is expected to double to an estimated 106 million by 2050, according to U.S. Census estimates. But just as Hispanics are more likely to self-identify more specifically by their land of origin, Latin music reflects that ­diversity through its styles — pop, tropical, regional Mexican and more — while remaining a unifying cultural force. The 29 executives in Billboard‘s Latin Power Players bring these hits to fans within and beyond the Latin audience. Impact and influence certainly count for inclusion on this list, as do company market share and chart performance of the artists with whom they work. For the full list, head on over to Billboard.com. 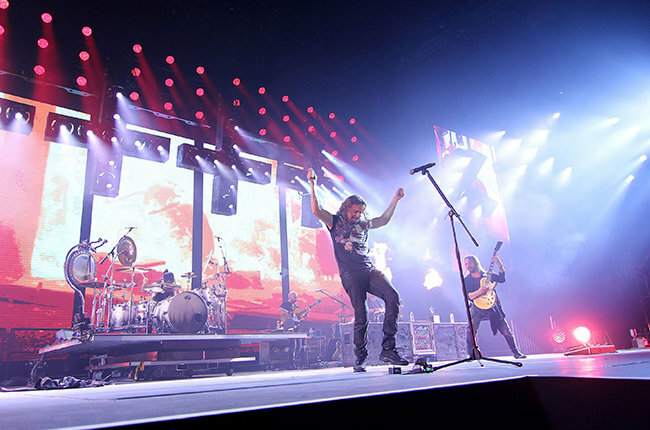 It was all love in the beginning of Maná’s Cama Incendiada tour stop in Los Angeles’s Staples Center on June 18, one of two sold-out nights at the venue. And it was here, “in the heart of California,” as Olvera calls it, that he was able to take a break from singing party anthems and tequila-drenched power ballads to speak directly to Maná’s diehard Latino fans about something the legendary rock band deems urgent: the fact that we are anything but living in a post-racial society, as evidenced by Wednesday’s terrorist attack on a historically black church in Charleston, S.C.
“Transcend.” That’s the word that Miguel used repeatedly on Monday night, June 15, to describe the essence of his eagerly anticipated new album, Wildheart, arriving June 29. 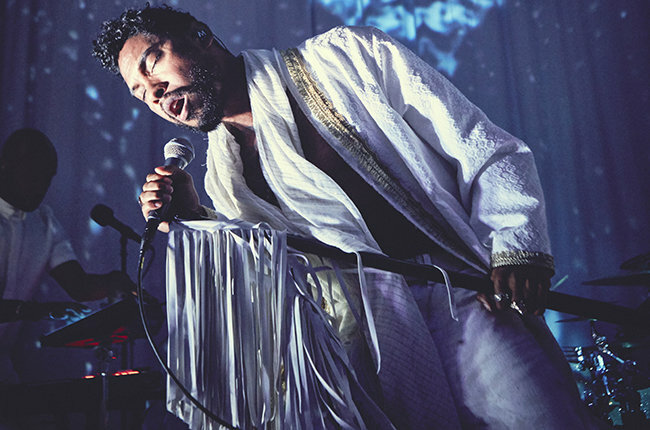 Dressed in a white robe and oozing sensuality as well as spirituality, the R&B dynamo previewed several songs from the album for a small crowd at Red Bull’s Studios in Los Angeles. Promoting the event via social media a week in advance and alerting fans to RSVP promptly, Miguel gave them a chance to experience his new music in an intimate setting. “Must wear all white,” he requested on the invite (and most everyone heeded). The late, great banda singer Jenni Rivera once said “haters are just confused fans.” So it makes sense that although Jenni’s eldest daughter Chiquis seems to have an equal ratio of the latter to gung-ho cheerleaders, this in no way has deterred her from pursuing her own career in music. And why should it? At 29, Chiquis has already endured more pain and tragedythan most people could conceive of (including losing her mother in a plane crash on Dec. 9, 2012) and has lived to tell the tale. 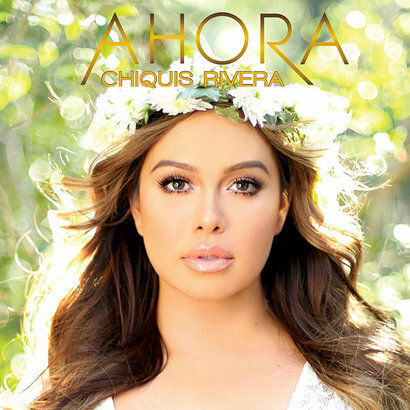 Despite being booed quite loudly on social media upon the release of her first single back in early 2014 (“Paloma Blanca” — more on that later), Chiquis dusted herself off and tried again, but not without remastering a few things, literally and figuratively. Bomba Estéreo is ready for the big time. Nearly 10 years after the Colombian electro-tropical outfit started making noise in the Bogotá club scene (and then popped up on music lists galore), singer Liliana Saumet and multi-instrumentalist Simon Mejía are now veterans of the global festival circuit. So it’s only right that for the band’s fourth album, Amanecer (due June 2), they would take things up a notch — and we’re not just talking bpm. The result is an album that is still very much Bomba to the core, but it also makes room for new influences. Recorded between the band’s headquarters in Bogotá and Reed’s home studio in Los Angeles, Amanecer should get them more airplay and even more gigs on the world stage. Take the lead single “Fiesta,” a party anthem dripping with bass and champeta that’s as much of an homage to the carnivals of their homeland as they’ve ever recorded, but it’s also a nod to Kwaito, an African genre of music fusing hip-hop, house, reggae, and traditional African rhythms. 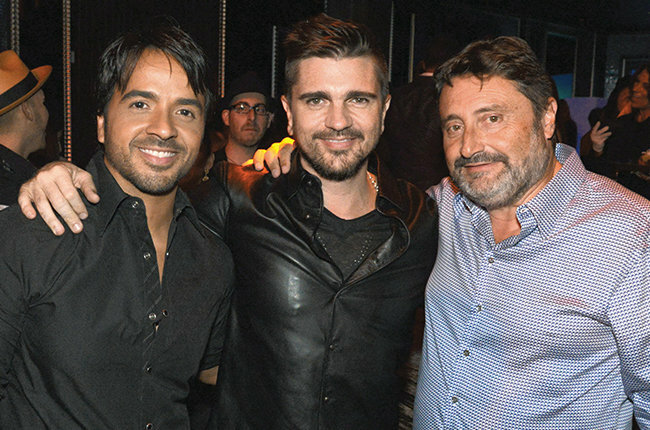 I recently joined the extended Billboard family as a contributor and went down to Miami to cover the 2015 Billboard Latin Music Conference and Awards (April 27 – 30). I’ve greatly enjoyed collaborating with the inimitable Leila Cobo, who, quite simply, knows more about Latin music than anyone on the planet. She’s a pro, and definitely someone I look up to. You’ll be seeing my byline on billboard.com/latin quite a bit this year, as I join Leila and the Billboard team in building the ultimate digital destination for all things Latin music. Click below to see Billboard’s beautiful spread with exclusive portraits from the conference. And click here to view all of our great online coverage from this year’s conference & awards, including exclusive interviews with Carlos Santana, Daddy Yankee, Natalia Jimenez, Nicky Jam, Luis Fonsi, Wisin, Carlos Vives, Ivy Queen, and many more. Mention the name Daddy Yankee to anyone in the Latin music industry and they’ll automatically think of the words legend, icon, or leader. Credited with making reggaeton a global phenomenon in 2004 with his hit “Gasolina,” the Puerto Rican superstar has more top 10s on the Latin Rhythm Airplay chart than any other artist (30) and more No. 1s on Top Latin Albums than any other urban act (6). It’s no wonder his peers — both established and emerging acts — constantly cite him as a source of inspiration. When he’s not recording hits in the studio, Yankee is known for bringing the heat to any performance. The 2015 Billboard Latin Music Awards — which aired on Telemundo on April 30 from the BankUnited Center in Miami — were no exception, as Yankee took the stage twice. First, to perform his hot new single “Sígueme y Te Sigo” as a worldwide television premiere, and then with Carlos Vives and Wisin for “Nota de Amor,” an irresistible marriage of Colombian vallenato and reggaeton that’s as much about love as it is about dancing.